Voters in the Ballinrobe area have been asked to keep the rebuilding of the local town hall an election agenda item over the coming fortnight. 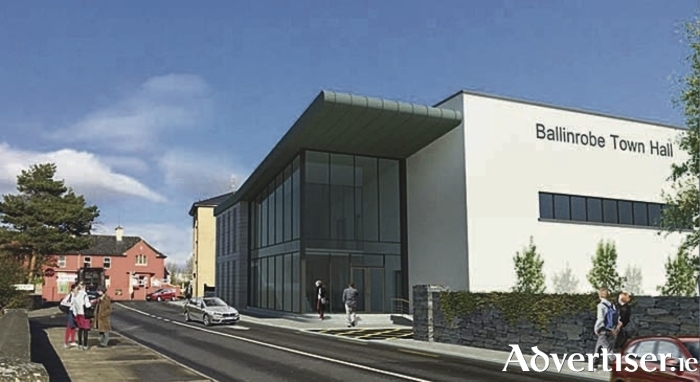 As General Election D-day draws closer, Ballinrobe Town Hall committee want to ensure the reconstruction of the facility remains a top priority in the coming years. “We are hoping to get about €800,000 of public funding to make the project a reality – but it will be crucial that elected representatives support the project to make this possible,” said chairperson Michael Sweeney. The proposal is to build a hall with a gross floor area of 1,000sq m. It will consist of an auditorium and main hall area with seating for more than 400 people. Anyone interested in actively participating in this major project should contact chairperson Michael Sweeney (087 2588 615 ) or secretary Siobhan O’Malley (087 207 2307 ).